Absolute Trust – Established by a gift, the beneficiaries are declared at formation and cannot be changed. Discretionary Trust with Settlor – Established by a gift, the Settlor can also be a Beneficiary, the trustees may use their discretion to decide who is to benefit and by how much. This will erode the rights of any one beneficiary to the benefit of the trust. Discretionary Trust without Settlor – As above without the Settlor as Beneficiary. Discounted Gift Trust – can be bare or discretionary (as above). This is, for IHT purposes only, a partial trust whereby the Settlor retains the right to receive determined Capital payments as withdrawals and these withdrawals are calculated against the original value of the transfer/gift to the trust for the purposes of IHT. Loan Trust – the Settlor simply lends the money to the Trustees instead of giving it away. This loan is repayable on demand in part as an income or in full. 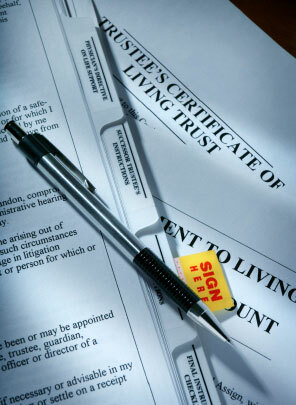 Trusts can be a tremendously useful tool in estate planning. However they can become inordinately complex so it is worth having in-depth discussions with a financial adviser.